So, I bought a tomatillo. The end. 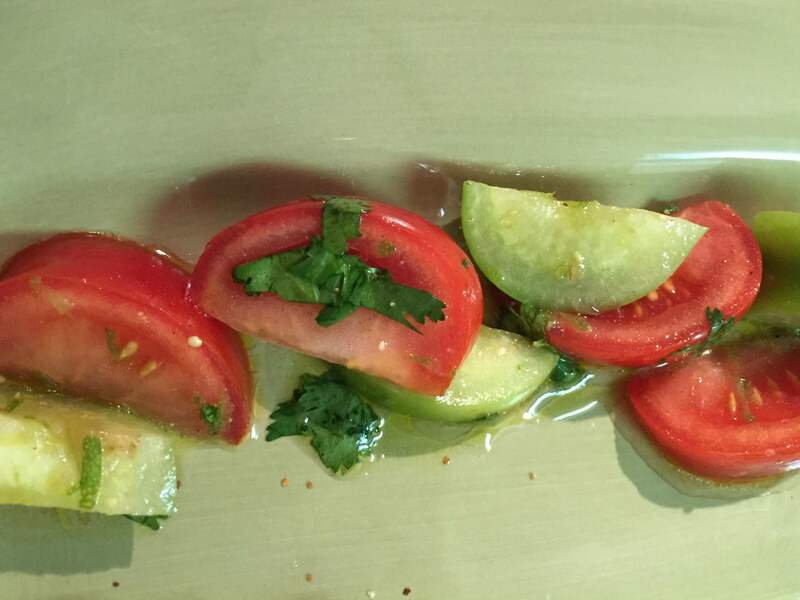 What else can you do with a tomatillo except make hot sauces or salsa?! I was determined to do something new. I thought to my brain, why can I not eat it like I eat regular tomatoes? I gave it a go and I really enjoyed it. It has a tart flavor, but paired with a regular tomato mellows it a bit. 1. Cut the tomato and tomatillo into eighths. 2. Combine all ingredients together and let rest on the counter for at least 20 minutes before enjoying.